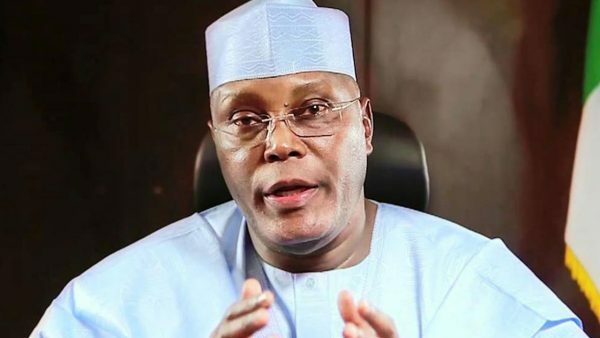 wikinaija January 15, 2019 January 15, 2019 2 Comments on “Why Buhari Can Win The Election” By Tunbosun O.
Atiku can win the 2019 Presidential elections because he has an advantage that no other candidate currently has or is likely to have. The race has begun and each day that breaks draws us closer to the 2019 elections, a season that will determine the leadership of our country Nigeria for the next four years and beyond. While it is always challenging to unseat an incumbent president, it is a walk in the park if the said character has fallen out of favor with the people. And that is the current state of the Nigerian political phase. There is a similar opportunity like there was in the last election to replace the sitting president and this should be an advantage to any aspirant, except it’s not necessarily so. If there’s any lesson the past election and the performance of the current government has taught Nigerians, it is to ensure they replace a botched president with care and caution. This means while many may be desperate to vote out the current president, they will not settle for just any available substitute. You are a controversial candidate who has remained relevant on the Nigerian political stage despite different administration. You are engraved in the consciousness of the Nigerian electorate and with the right strategy, can be sold as the right option come 2019. However, this is technical on many platforms and the only valid way you can spin this through is to sell yourself through apolitical means. This in the long run will cost you a lot but the truth is, you can afford it and in fact, you’re the only candidate that has what it takes to unseat the incumbent. Right now, there are many options on the scene but they’ll soon be flattened out as the current administration wields its power. You are the only one of the lot they can’t sniff out and Nigerians will need your capability as the time draws near. This is a dicey point that can play against a presidential aspirant due to the similitude it shares with several leaders who have made the masses suffer but it’s not the same for you. You can relate with the average Nigerian irrespective of economic status. For an orphan who has become a name to be reckoned with, you know what it means to be poor and also what it means to be wealthy because you have been on both sides of the divide. No wonder you are passionate about employing youths and empowering them. This can play to your advantage because you’ll be able to passionately play your politics. People know your story and your good works. Regardless of oppositional propaganda, a widow that feeds her family, a father that pays his bill and a graduate that gets employed under your watch will have an opinion about you that can’t be shaped by mainstream opinion. You connect with people personally and deeply. While this may seem like a long road to getting what you want, it is in fact a very potent one. When one genuine person blows the trumpet on your benevolence, it is more powerful than the loud chorus of negating voices. Even when your ambitions were frustrated and thwarted, you kept on serving people and doing good. It’s part of who you are and Nigerians know this. At this critical time, this can be spun organically to build trust and generate loyalty especially at the grassroots. While the democracy of stomach infrastructure is fast losing its efficiency – since many people are in the game. The grassroots area still has to be won over for you to win 2019 presidential elections. This means you have to find an unconventional way to reach the masses and a way to refresh your reputation as a philanthropist. You need to give to them without demanding they sell their electoral conscience. This may seem impossible and idealistic, but when it is a man with your forte that puts up the challenge, it is sure to cause a paradigm shift in Nigeria’s electoral process. Your passion for the Nigerian youths and successive generations is evident in your quest to promote youth in governance, a critical theme that must be addressed if Nigeria will have a future to look forward to. Nevertheless, the current social and economic scape of the country leaves much to be desired by the youths, which is why majority are leaving the shores of this country for greener pastures abroad and contributing to the success of such countries. No doubt you will agree with us sir, that many of these youths that you once led during your tenure as the number two citizen of this country are nonetheless clueless about the future of this country. As one of the highest employers of labor, you have been able to move the economy of Nigeria forward with your business empire. You obviously have the ability to manage people and resources, and Nigerian youths are in dire need of such managerial skills. The average Nigerian youth is ready to be convinced that your administration will be participatory and youth-inclusive. You are already doing fairly in this regard by being visible. Your presence on social media and visibility in national affairs has already put you out there. But you need to do better, you need to touch the hearts of the youths in a way that matters. Youths need empowerment and employment. You are already doing this well but it doesn’t have national coverage. You don’t aim to be the president of a part of Nigeria, you need to do so for the whole of Nigeria. You need to create schemes that can achieve this and set it in motion against 2019. Social media is a powerful force that can’t be underemphasized. Currently, you rank high among Nigerian political influencers on social media. Your social media team work with a sense of dedication and focus that is remarkable and commendable. But you need much more than you currently have to win elections in 2019. Truth be told, what you are doing is enough if you have any other ambition other than to be the president of this prestigious nation. But with that sole desire, you need better strategy. It will cost money; it will cost professionalism but you need to spread your tentacles to the heart of those who are indifferent to the Nigerian electoral outcome. These are the elites who have distanced themselves from the ruggedness of the Nigerian political space. Their interests need to be ignited. They have to be involved. You need to appeal to their sensibilities and more importantly, you need to do that well enough to get them to ACT. Your current social media savviness is doing well; it needs to be reinforced for better results. Winning 2019 presidential election depends solely on one point; make yourself the man of the people. In other words, be the man people want as their president. Endear yourself to people of different social and economic class. Although it has happened only a few times and in different scenarios, you have the potential to make the people want you as their president; both the rich and the poor, the educated and the illiterate, the young and the old, the Yoruba, Efik, Hausa and other tribes of the country, the Christian and the Muslim. We have a strategy to help you speak a unifying language to the Nigerian electorate. This language will begin from the South western part of Nigeria and extend to other regions. The southwest area is key because it is more neutral about electoral processes than other regions of the country. Another thing about our way of helping out is that it cuts across different divides and appeals to the masses. The educated and illiterate, Christians and Muslims, Hausas and Ibos will all benefit from it. Our strategy holds an attraction for the large chunk of electoral population and is a guaranteed way to make them choose you in the forthcoming elections. The best part of it is that it isn’t designed to be political by nature. It is about empowering Nigerians for productivity. We echo your mind when you said “we need to understand that our most valuable resource is not our oil; it is our people. Oliver Tunbosun is an Entrepreneur who graduated from the University of Ibadan as a statistician. The post “Why Buhari Can Win The Election” By Tunbosun O. appeared first on LATEST NIGERIAN NEWS BREAKING HEADLINES NEWSPAPERS.